In the specification of the switch points of a float switch, misunderstandings always lead to unsuitable product designs. How one correctly specifies the switch point of a float switch will be explained here. • Normally open / n.o. • Normally closed / n.c.
• Switching function normally open / n.o. The guide tube length “L” must always be greater than the distance between the switch points from the process connection in order to allow the float body to assume a rest position, in which the switching output is not yet switched (cf. drawing). From the rest position, the float rises with increasing level and switches the desired function (e.g. normally open) at the defined level (switch point position). 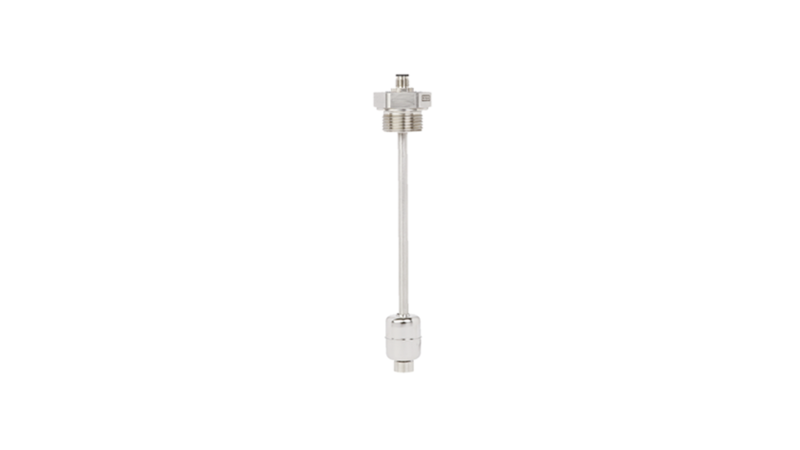 The guide tube length is defined by the lowest switch point + dead band “T”. 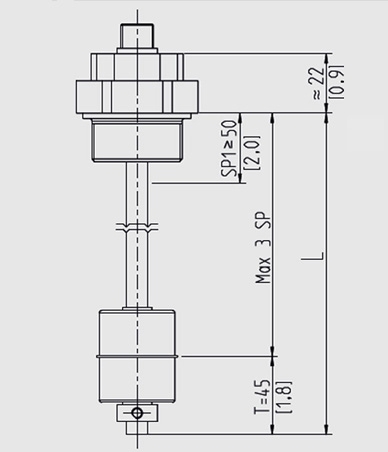 Depending on the size of the selected float body, the dead band is generally between 25 and 50 mm and is also defined in the manufacturer’s data sheet. The float, as a suspended hollow body, is influenced by the density of the medium. For very low-density media (e.g. light oils), the float will immerse deeper in the medium than in the reference medium of water with a density of 1 g/cm³. This deeper immersion of the float will result in a small deviation of the switch point position by a few millimetres. Last but not least, the hysteresis of a reed contact causes the reset point of a float switch to be a few millimetres below the switch point. As a leading provider of float-based, measurement technology solutions, WIKA has a wide range of variants to meet all your application-specific requirements. Our range of float switches can be found on the WIKA website. Your contact person will be pleased to advise you on the selection of the appropriate product solution and specification of the switch points.